So years ago, when I still worked for somebody else, and we had to keep track of all of our billable hours, I created a personal timesheet/ billable hours tracker. It let me record my time in quarter hour increments by client, so come time to enter my time into the computer for the week, it was all there in front of me and I could enter my data in record time. So I had this idea the other day... why not create something like that to track light sources, magical effects, etc., in the dungeon. (I'm gearing up for a possible campaign where resource management will be pretty important). Each circle represents 1 hour of time, divided into 6 turns (6 pieces of hour pie). Every turn, the DM fills in a 1/6 segment of the pie for whatever's necessary (each torch or lantern, residual magic effects, etc.). 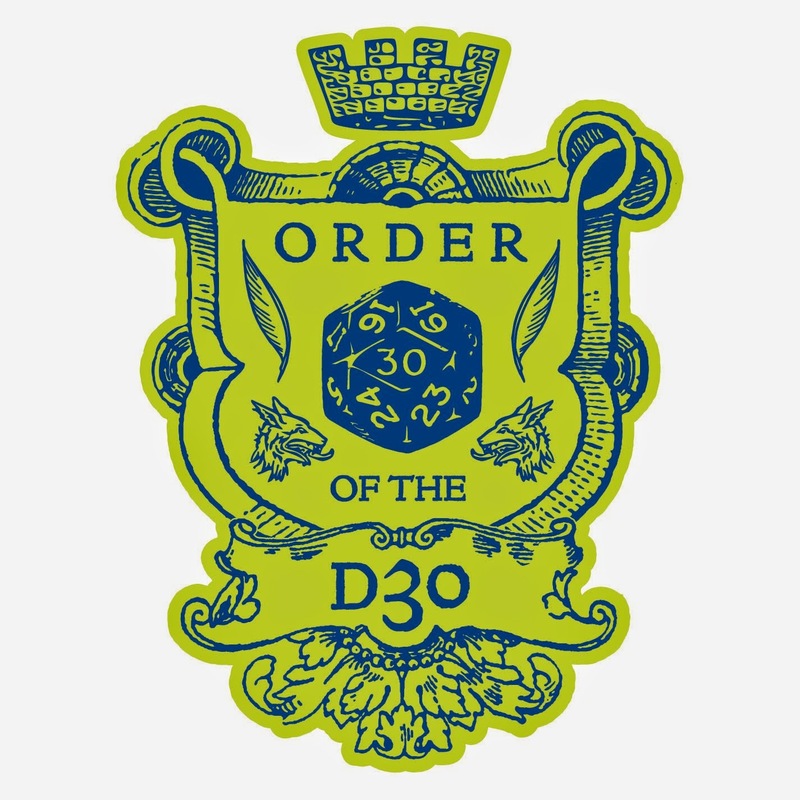 It takes only a few seconds of real time for the DM to track the resources, and tell the players when it's time to burn one from their inventory. Click here to download a free PDF of the "Exploration Time Tracker" from MediaFire. Yoink! Thank you, Mr. LeBlanc! That's great, will be using this in my upcoming Barrowmaze campaign. This is awesome, thanks! 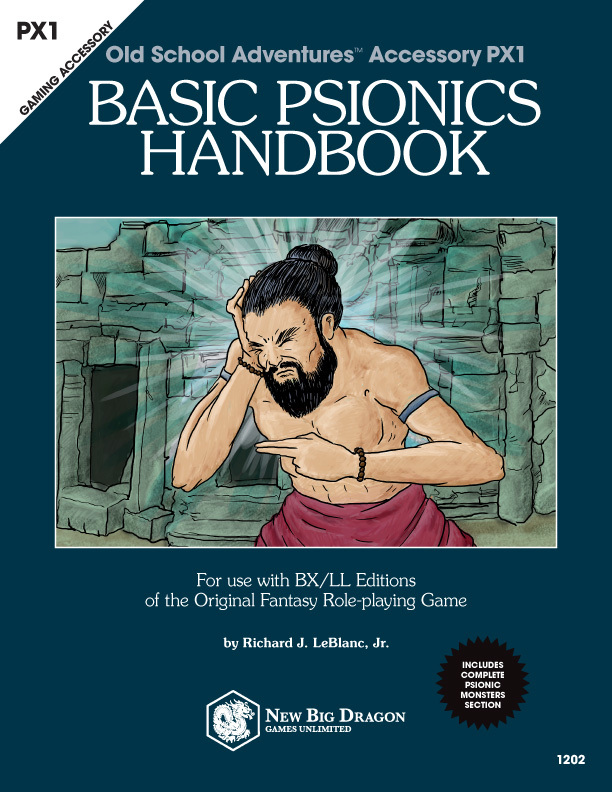 Going to use this in my LotFP campaign for sure. Aces! Printed for tonight's B/X game and will be in regular use - sincere thanks, Mr. LeBlanc! Simple and Elegant. That equals a winner! Printing... I'm going to give it a try this week. Thanks! 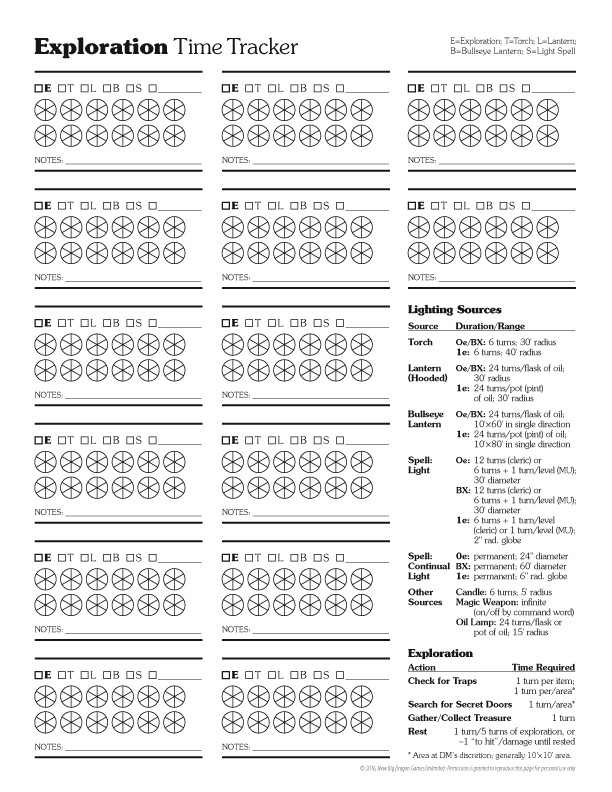 That is the most well thought-out and useful time-tracker I've seen so far and it should be in every OSR DM's campaign folder! I've made a 5E version; any chance I can get your permission to post to DMsGuild as a free product attributed noting it is inspired by this? I'm happy to send a link if you'd like to see it.